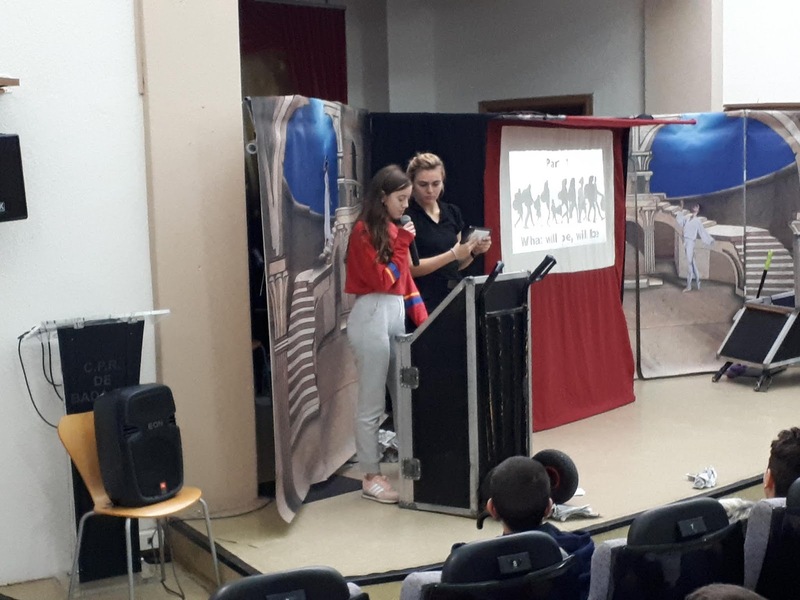 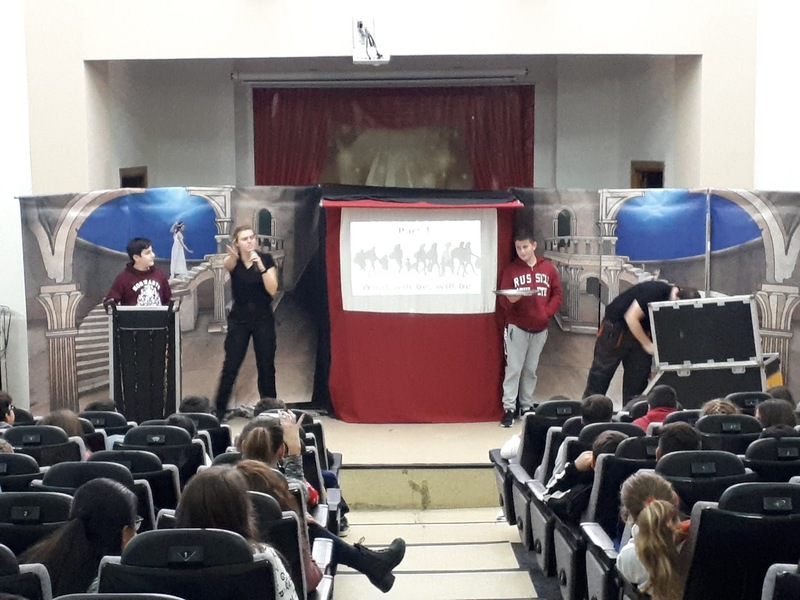 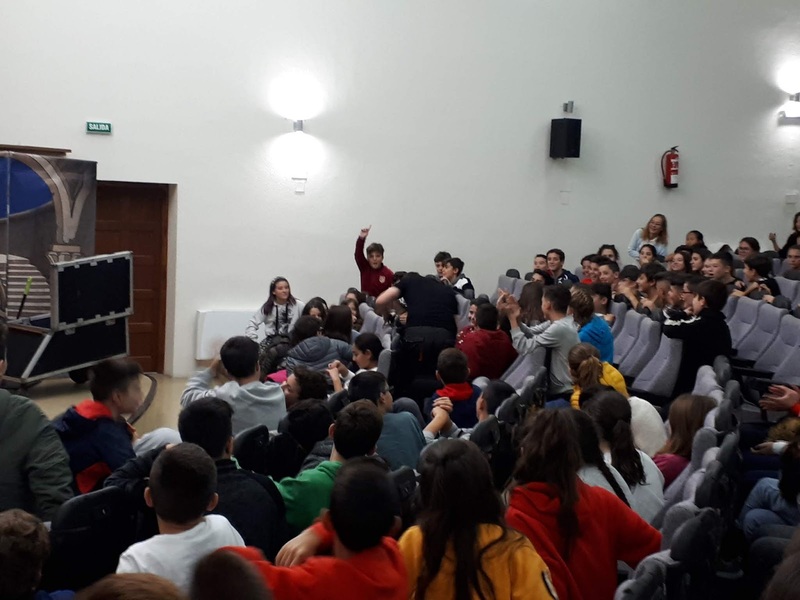 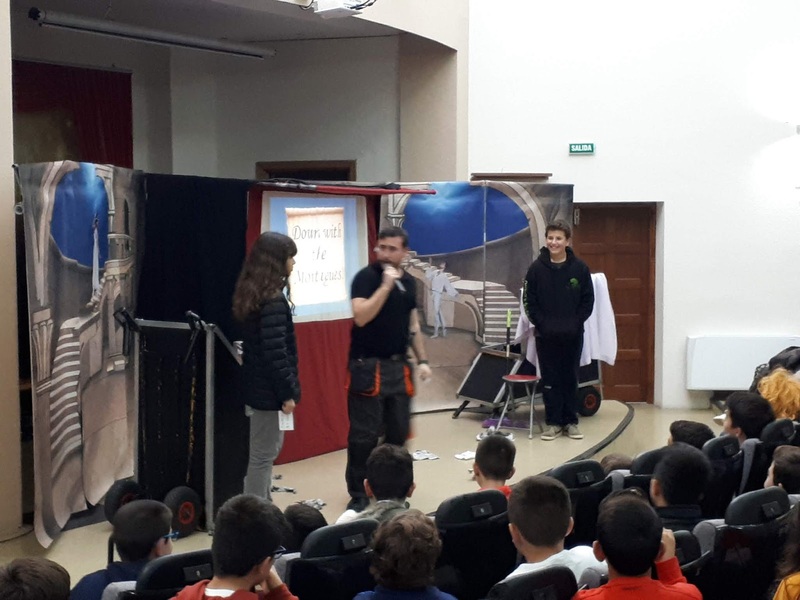 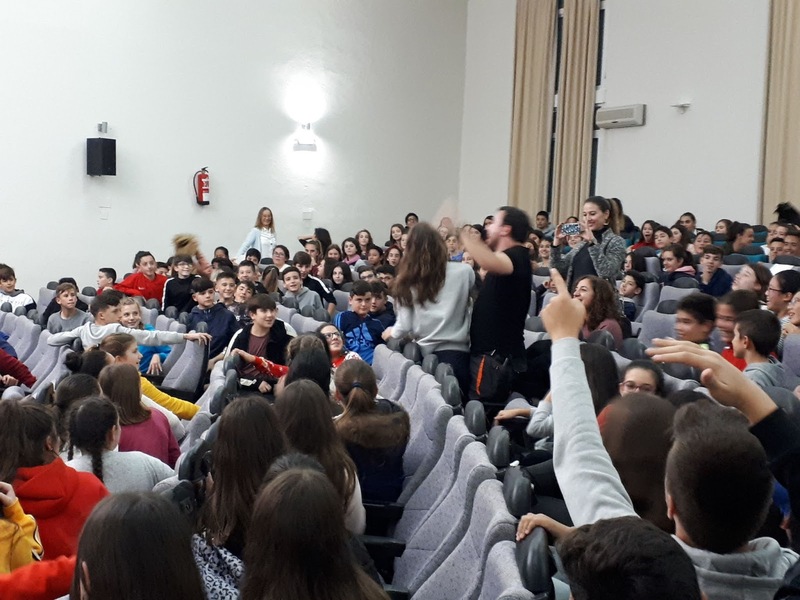 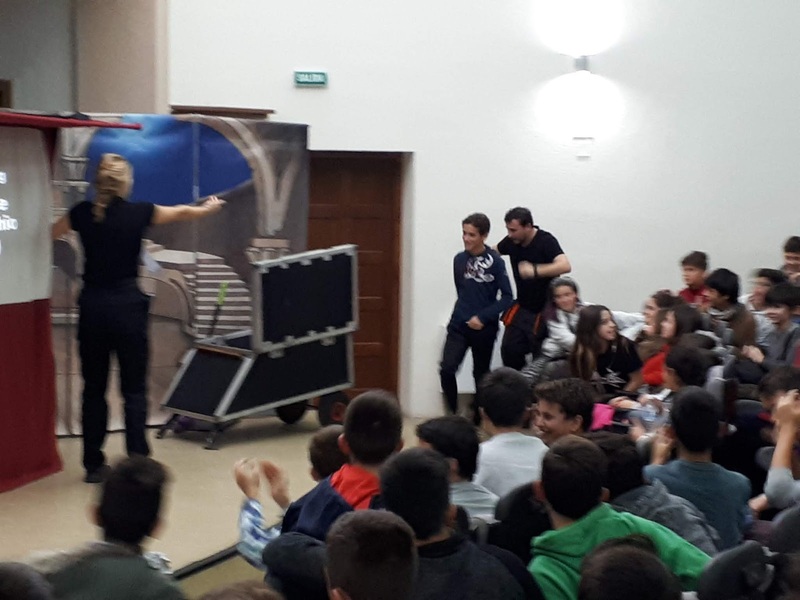 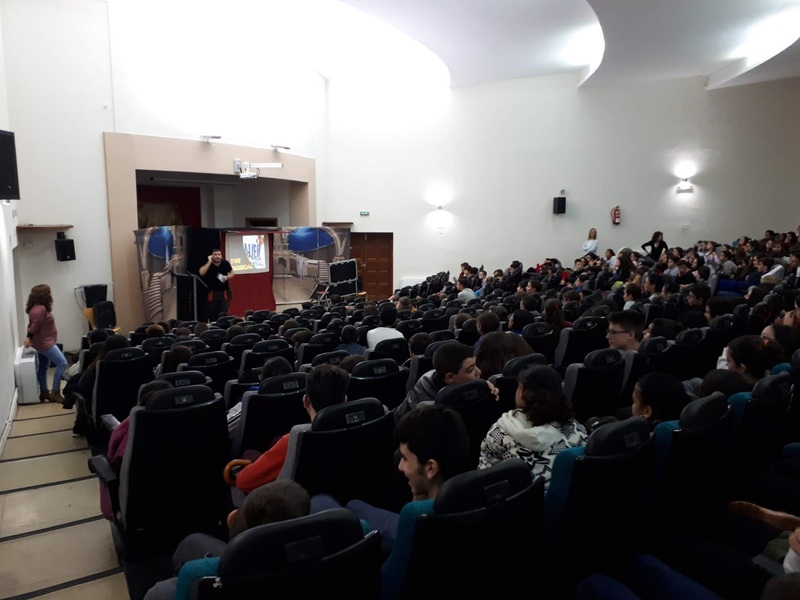 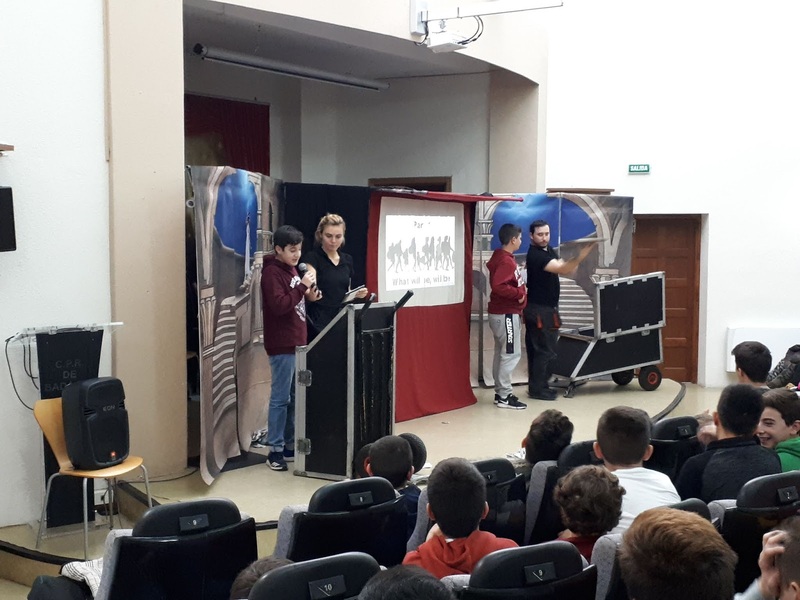 On November 12th, once again, about 280 students from our school from 1st to 3rd year of Secondary Education had the opportunity to attend the play in English "The End of the Beginning" by the theatre company "Moving On" in the assembly hall of the C.P.R. 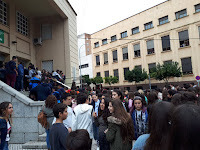 in Badajoz. 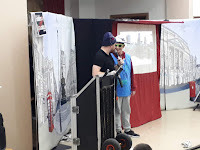 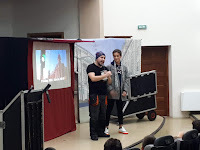 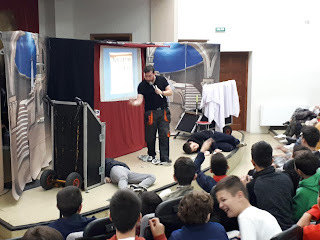 This company, created in 1988 by native actors from Great Britain and specialized in schools, has been offering this kind of entertaining, communicative and funny activities to our centre for several editions consecutively. 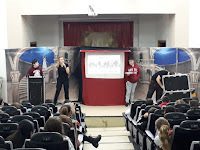 It is a performance of about 60 minutes of duration, entirely in English. 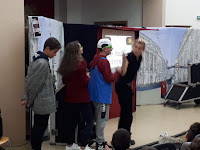 As it is becoming a custom, every year they delight and entertain us with some performance on current issues, including some moments of spontaneity and surprise, where students also become protagonists and actors for a moment. This year's topic has been the famous Brexit, its consequences and repercussions. 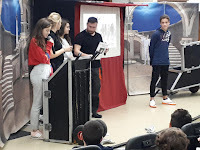 Treated comically, and from opposing points of view, it reviews all the benefits that belonging to the European Union entails and what could be lost in education, employment, security, investments, influence on important European decisions, tourism and many other subjects. 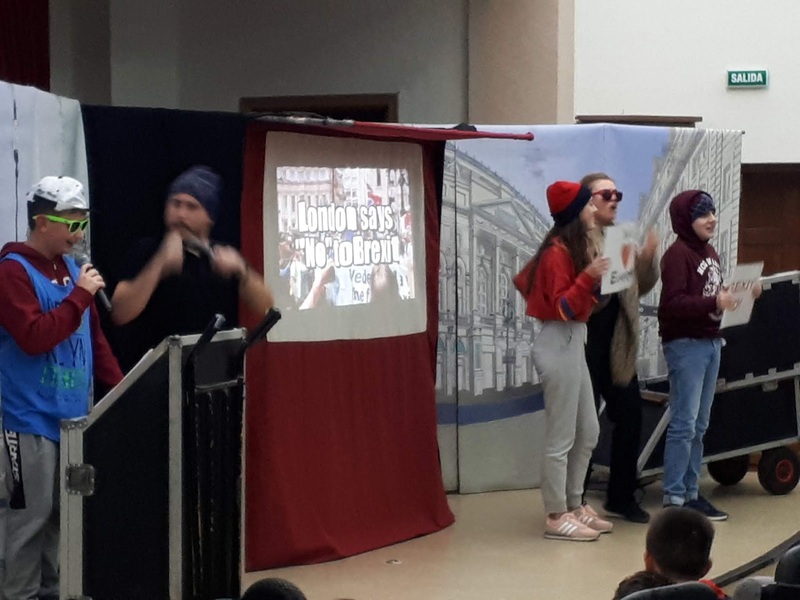 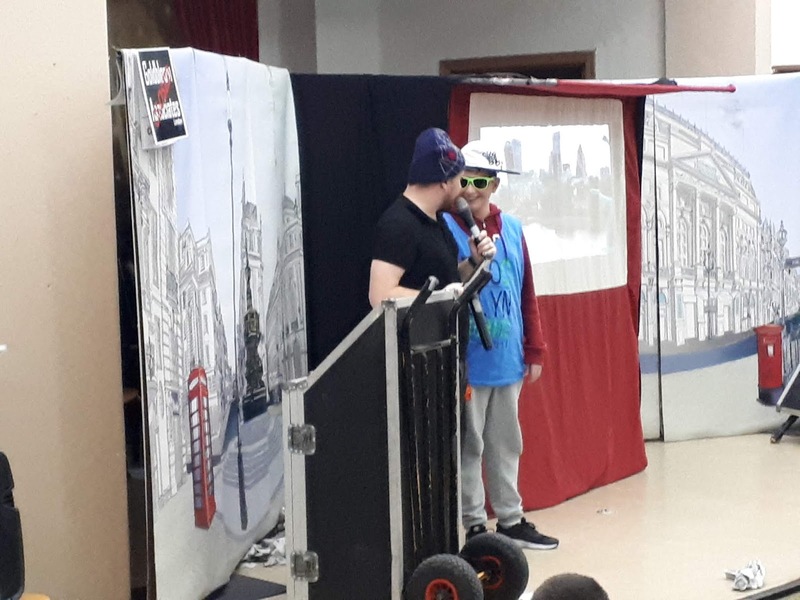 The show includes a test on British citizenship to which students were invited to respond and they did so with enthusiasm to demonstrate their knowledge and their command of the country's culture. 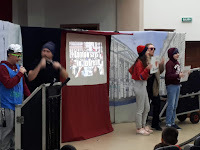 The songs that accompany the play, scattered with moments of humour, deal with the contradictions, hypocrisies and injustices that lead the protagonist to think that it would be better to be an "alien", making a play on words with the concept of being an alien, a foreigner or an immigrant. 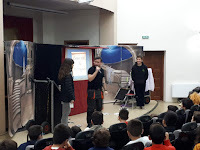 Here you are some snapshots and videos that show the great acceptance and success that the experience has had. The English Department of the I.E.S. San Fernando wants to thank the C.P.R. 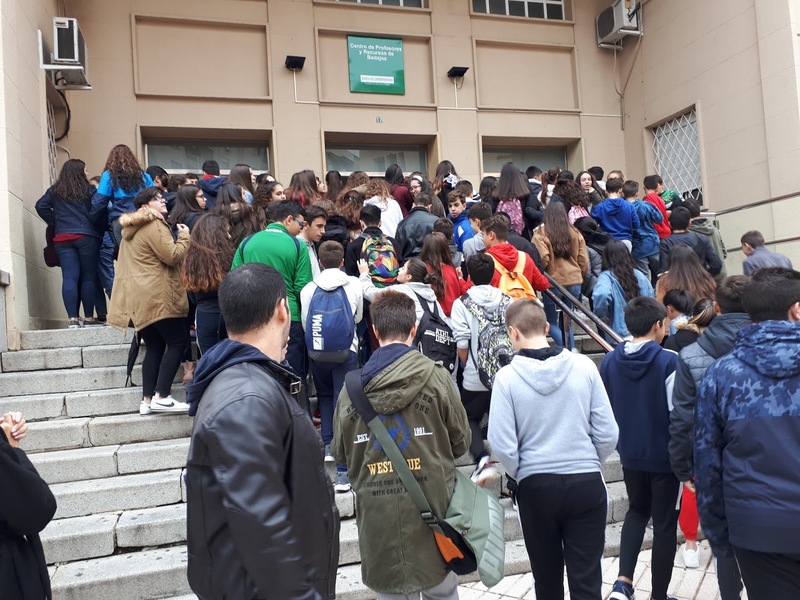 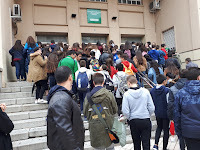 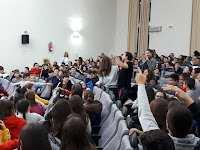 of Badajoz for its assembly hall for the event, to the responsible and accompanying teachers for their collaboration, to the parents for their support to the activity, and to the students for their good behaviour, participation and involvement in the activity.